A face-framing embroidered front yoke on this comfy tee sets a tone that says you're on vacation and on trend wearing this key piece from a dynamic collection. Gibson has teamed up once again with lifestyle blogger Cassie Freeman to create pieces for chic wandering. Style Name:Gibson X Hi Sugarplum! 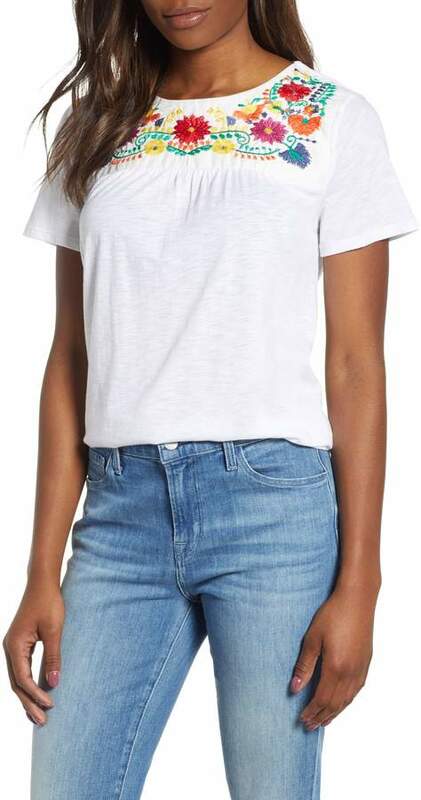 Savannah Embroidered Yoke Tee (Regular & Petite) (Nordstrom Exclusive). Style Number: 5788610. Available in stores.